Feel free to always contact me for any kind of design advice or a project. "Lovely Niki created several wonderful logos so it was not easy to opt for one design. Good Girl!" "Niki has a great eye for design. Very responsive and provided edits quickly. Really enjoyed my experience working with her to create my company’s logo." "Niki A- Was so easy to work with! She did an amazing job and came up with exactly what I was looking for!! Thank you Niki"
"Perfect contact with great ideas, nice conversations and every time a quickly feedback. Thank you very much, till next time!" "She's great to work with & very talented! She has done our logo & animated logo. Great turn around time too!" "Niki created a fantastic logo that we are really happy with. She came up with a great concept that we thought could be further developed in just the first draft. Very friendly, quick and was very patient with all our little revisions and experimentation..."
"Amazing designs by NIKI. Very spontaneous in replying and always gives the best in each shot. Very satisfied." "We wanted a simple yet memorable design for our online florist business. Niki nailed the brief and produced a fantastic logo that we're all very pleased with. She was very professional and friendly throughout the whole process and worked with us in orde..."
"Working with Niki has been great, and I would highly recommend her services. She is talented, and her work is beautiful. She is very responsive, and can follow guidance. We are very grateful to have worked with you Niki! - Inuka"
"Niki was very responsive and helpful throughout the process. She worked with me to give me different perspectives. Look forward to continued work with Niki!" "Niki was very professional and attentive to details. great experience. " "Excellent work and great communication! Recommended "
"I think I won the design lottery by having Niki show an interest in my logo design! She presented a logo completely fresh which succinctly conveyed my spirit and image. She then graciously and whole-heartedly collaborated on a pretty detailed revision p..."
"We really enjoyed working with Nikki. We couldn't decide on the logo option and she was really understanding and helpful. We love the logo and would definitely recommend her!" "Very happy with the experience and how helpful my artist was!" "Niki was very easy to work with, happily did iterations and just delivered something great for me! Beyond expectations, thank you!" "Thank you Niki A for my amazing Logo🙏🏻 From the beginning I liked it so much and didn’t changed it. Also thank you for the quick and very professionelle Conversation ..."
"I was looking for a logo that I wouldn't/couldn't design myself and it turned out great! Now I have the beginning of my own brand!" "Niki was great to work with. She has beautiful designs. " "Niki took time to read and understand my brief and delivered exactly what I wanted, a bold memorable logo. It was extremely easy working with her to refine the initial proposal and we finalized the project earlier than expected. I would absolutely rec..."
"Niki was very responsive and willing to make changes. Her attention to detail really sets her design work apart. We're very happy with the result. " "Niki was great to work with, she was happy to change designs and also offer her expertise and advice. I would definately work with Niki again. Great design, great communication and very professional. Thank you Niki. " "Ich bin sehr zufrieden ☺️"
"Niki provided amazing drafts and was super approachable during the entire process. We got a great result and are super happy with her work. " "Niki is always responsive, creative and professional in providing excellent designs for us." "Niki was incredibly responsive throughout the design process. She quickly accommodated changes and understood my vision. " "Was absolutely a great Job! :) "
"We love the design - Niki A was able to create a logo that is unique and has mass appeal at the same time. She listened to our comments and always implemented requested changes promptly and effectively. " "Great Communication, Attention to detail, And I loved my overall design. Such a pleasure to work with. Highly recommend for your LOGO needs!" "Very nice and fast communication. A perfect design which was better than expected. Will use this service again in future." "Niki was exactly what we were looking for. Creative, responsive and a great listener who took time to understand what we needed for our logo. Thank you so much!" "Niki is very talented and was great to work with on my project. Thank you so much!!!! " "Niki A. knew exactly what I wanted by description and colors. No changes were ever necessary. I will keep her in mind for future designs and projects." "Niki was great! She followed our brief and provided creative options and helped us refine until we had the perfect design!" "Exactly what I was looking for and willing to go several iterations." "Loved it all, really good job!" "Thank you Niki for the great Business Cards. :) We all loved them :)"
"It was my first time using 99designs and i'm happy I did. We are so in love with our Logo thanks to Niki. We are looking forward to working with Niki with are next project. Thank you Niki"
"Thank for the design. I am really happy and satisfied with your design :)"
"It was easy working with Niki. She was accommodating and had a good sense of what I was asking to come through in the design. " 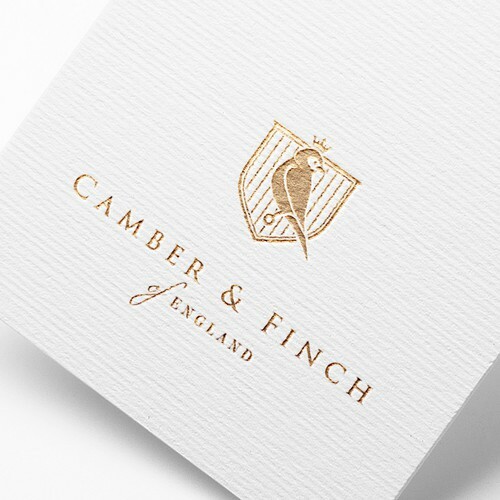 "I loved the logo design, it was mature and elegantly simple! I would recommend." "The designers were very responsive! Great experience." "Nicki is fantastic all-around!! Great vision, works unbelievably quickly and communicates at every step. Truly went above and beyond. We couldn't be happier!!" "It was great working with her. She was quick to turn around files." "She edited as needed and her ideas were great! " "it was pleasure working with you. thank you.."
"Great designer.. will work together again"
"Nicki did a wonderful job and dedicated several hours to my project and it was completed on the same day I started the 1-1 project. Very professional and amazing response time. " "Nicki-J did a great job on our logo design. She understood what our basic customer would want to see in our logo, which was the difference between her work and others. She was very responsive to our requests, too. We are very happy with our logo!" "Working with Niki was an excellent experience! We received many creative designs but Niki's was the one that stood out from the others. She transformed our brief into design in such an innovative manner that we knew we could work with her to achieve the..."
"Nicki did an amazing job and was so easy to work, she worked with the brief given and came up with some amazing designs, everyone has commented on how good our new brand logo and product labelling is. I can't thank her enough for all the hard work she ..."
"It was a pleasure to work with this designer. She was easy to talk to, fast at her responses, understood my ideas well and translated them into the final logo wonderfully. I will definitely work with her again and recommend her to others in need of logo..."
"I absolutely love the design. Nicki-J followed instructions and produced a very beautiful design for our company. She replied in a timely manner and paid great attention to details. I definitely recommend her." "The designer was able to capture the aesthetic of our brand. She also worked hard to make adjustments for us." "super zufrieden - hat sich viel Mühe gegeben und ist auf alle meine Wünsche eingegangen :-) "
"thanks a lot, much appreciated"
"Beautiful designs and quick service, highly recommend. " "Working with Nicki has been a breeze, she has been super helpful and created something I love :-) Thanks Nicki "
"Nickey was amazing! Listened to feedback and came up with an amazing logo beyond what I could have imagined. Her work was definitely a step above any other designers! Very talented and a pleasure to work with." "Nickey Jasko was wonderful! She listen to the feed back and was able to design a great logo for us! " "We needed a new logo design for our online shoe business, the process was very convenient and dealing with nickey was easy and reliable. also very willing to accommodate to our needs and work on specific changes we requested "
"alles war Super und hat reibungslos funktioniert." "Great job!! We LOVE Nickey J!!! She is an amazing designer :)"
"Everything about this process was amazing. We are very happy with everything. Nickey J was a true professional and we will be back if we need anything else. " "Nickey J was amazing to work with. For us, her style stood out to us in the very beginning. She was extremely accommodating to our design requests and she provided everything we needed." "Nickey totally rocked it! I knew the minute I saw her design that she really understood my vision and my style. It only took a few tweaks to get her original design to the final design that I wanted. She also put together a brand guide for me very quick..."
"Ich war bereits vom ersten Design sehr begeistert, sie hat sehr schnell verstanden worauf ich Wert lege mit äusserst viel Liebe zum Detail." "Nickej was a great and professional designer to work with! She implemented our ideas immediately and has a great aesthetic feeling for design, forms and colors. Her work is high-quality and unique. Thank you Nickej, for our logo and your great ideas!..." "Nickey was really professional and did a great job! Thank you so much." "Perfectly done, thanks! RyFo Team"
"The job was smooth & very creatively done!" "Nickey j was wonderful to work with. She went above & beyond with this contest & I hope to work with her in the future! Thanks:) "
"It took some time to get calibrated but then when we did, the work designed was professional and inline with the spec. " "Nickey hit the nail on the head with the logo. She is a very skilled artist and was a pleasure to work with. She made all changes I asked for and made them very quickly." "Terrific!! So talented and so responsive! I'm sure I drove her nuts but she never let on and I couldn't be happier with my logo!!" "My client needed a new logo for their living shoreline, stone sill, stone revetment business. They had an existing logo that was very detailed and hard to work with on the web. I submitted a few criteria and Nickey J. pretty much hit it out of the park ..."
"nickey j helped me come up with a logo for my business. I was very pleased with the outcome of the project. I have only positive things to say about my experience with nickey j!" "NIckey was great to work with during the logo design process. I love what she submitted from the beginning and just had a few changes, which she implemented quickly. She was reliable and made this experience excellent. Thank you Nickey J!" "Alles Top gelaufen 5 Sterne plus Kommunikation ausgezeichnet 5 Sterne plus Schnelle Bearbeitung 5 Sterne plus Fazit:Ich kann nur weiter empfehlen. Vielen Dank." "She was great to work with. Quick and patient and willing to work and revise to the end. Very professional." "Excellent job! Takes feedback very well and is fast on delivery." "Excellent job taking feedback and re-submitting what we requested. Very responsive!" "Great work, great communication and great result. First proposal nailed the dossier, just one quick message and even improved it! Highly recommended, will work with her in the future for sure." "The cooperation was great and very efficient! She had great ideas and reacted well on inputs! We highly recommend." "Great job! Pleasure working with you." "My contest and task was a very. Nickey immediatley performed acoording to my brief. She really took her time to understand what I was looking for. Great responses and eager to do her utmost to satisfy her client. Fast and good delivery of all files. " "Excellent designer, followed my instructions but went beyond them in several ways. I'm quite happy with the final logo." "Great Work and EXTREMELY Responsive. Met all of our guidelines and was great with revisions and modifications. Would highly recommend. 5 stars!" "Nickey was the best designer by far and came up with some great ideas for the logo. Very happy that she chose my contest." "A wonderful logo first time round! Great Job, look forward to future work."